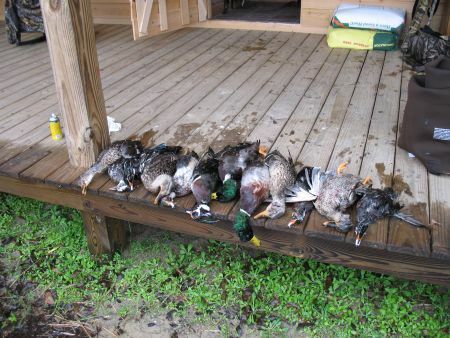 I'm a bird hunter at heart but won't pass up the opportunity to sit in a stand come October. I target all fresh and saltwater...Anything with fins. Just a few more boiling weeks and we can finally get back into the swing of things. 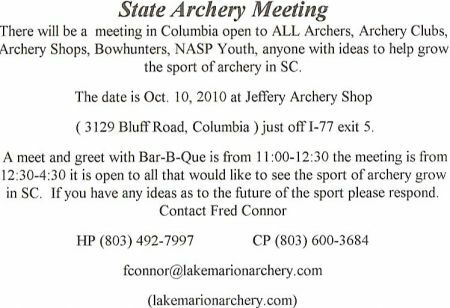 Open to all Archery enthusists...The date is October 10 at Jeffery Archery Shop in Columbia, SC. See attached for all the details. 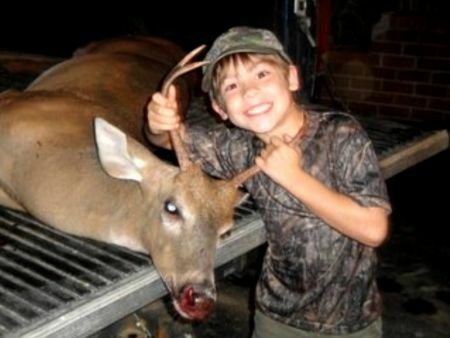 Hayden Walker's First Deer!!!!! 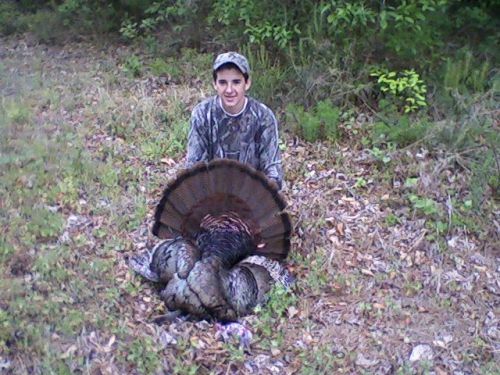 Taken while hunting with his Poopa. 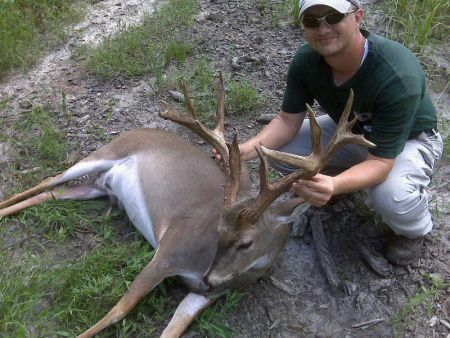 15 PT. TAKEN BY JONATHAN FITCH. 22.5' SPREAD. COMPLIMENTS OF THE TACKLE BOX. 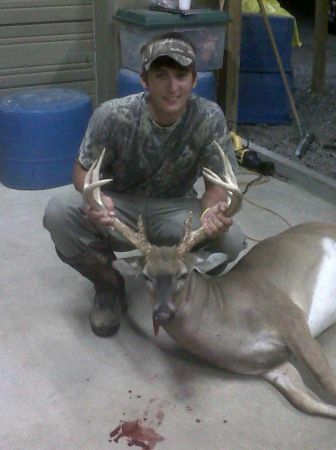 JOSH MILLER WITH A NICE 11 POINT KILLED IN WILLIAMSBURG COUNTY. COMPLIMENTS OF THE TACKLE BOX. Bruce Sellers and Palmetto State Training took a crowd off shore aboard the Blue Boy located in Charleston, SC. The weather was wonderful and catching some fine Dolphin was in store. After locating some debris, owner Douglas Heaton and Capt. Grant Bentley teamed up to create a feeding frenzy. Everyone had a blast.....Thanks again to the Captain and Crew of the Blue Boy. 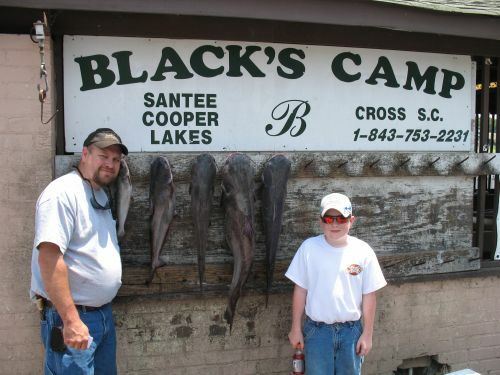 Jesse Garner and his son Walker came down from NC to fish out of Black's Camp with Josh Coggins Guide Service. Well Josh located the fish and Walker did all the pulling on the largest fish of the day. The 28 lb 08 oz bruiser Blue Cat can be seen hanging on the Bragging Board.....As you can see from the smiles this father and son team shared a great day. 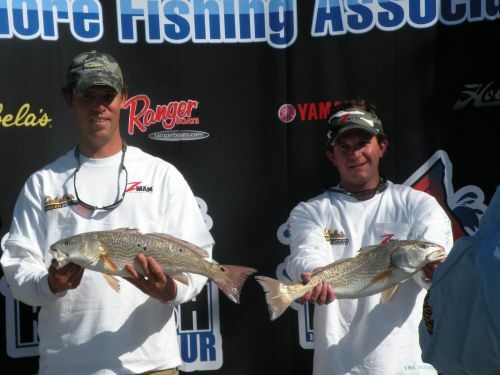 Durrette Wooten and Richard Stoughton won the IFA Redfish Cup Series that was held at St. Johns Yacht Harbor. They won best out of 67 boats in Richard's 2009 Sea Fox 225BF with a Suzuki DF200. The grand prize was a $30K Ranger Bansheee Extreme Flats boat completely rigged out. 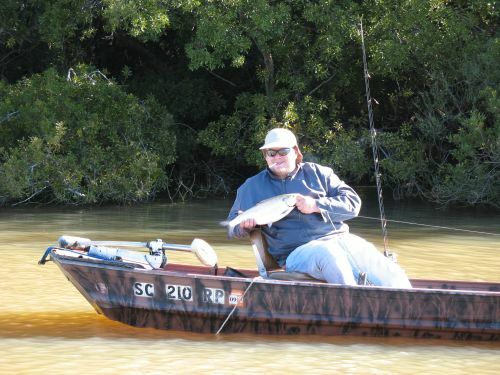 This is the first tournament that they have fished in this tour. Fished the Diversion Canal over weekend and caught a few Channel Cats using the 'Wicked Stinky' bait. 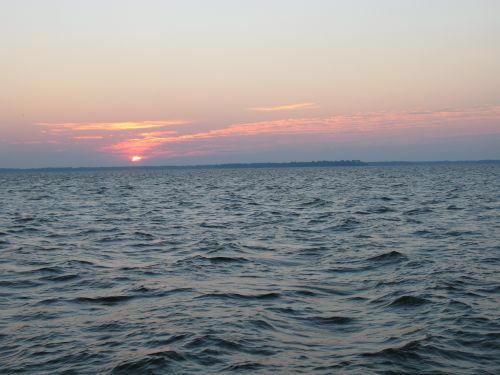 I was fishing during times of strong flow created from water being pulled into Lake Moultrie. 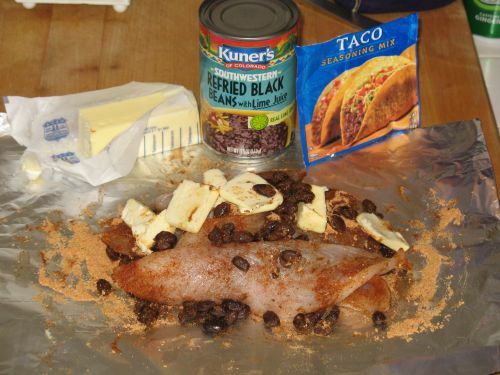 Catfish tacos were on the menu. 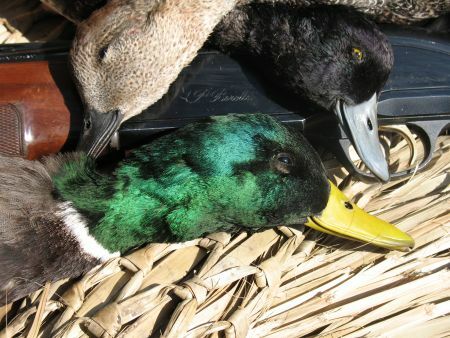 When to the Tailrace in Moncks Corner and took home an empty cooler. Water was rolling so fast couldn't keep anchored, but some of the folks around me caught a few nice ones. Hope Y'all have a Great Easter Weekend!!!! Wanted to thank all the Chapters of SC CCA for the great time had over weekend at their State Convention in Mount Pleasant. Unbelieveable food was created during the Chapter Cook Off competition Friday night and the banquet Sat was a lot of fun. Finally took a Saturday off from the 'Honey Do List'. 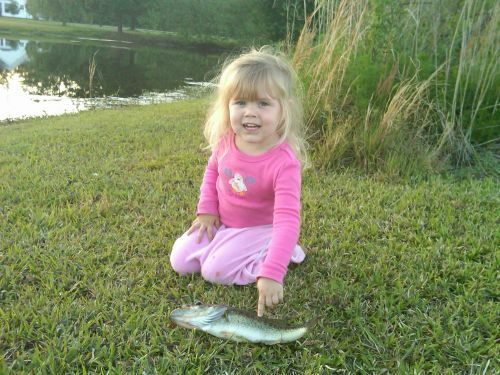 I got to use that catfishing trip from last year's SCWA Berkeley Chapter Banquet. The 2008 banquet is coming soon, I think it's Saturday Oct. 11. We met up with Capt. 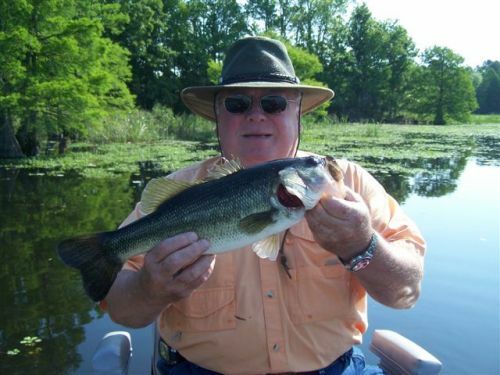 Glenn Hood at Black's Fish Camp. I must thank the ladies at Black's for a great breaktfast. I was ready for a nap before we finished our coffee.....Then we hit the Diversion Canal and it was time to enjoy a beautiful sunrise, up close and personal. We fished until 1:30 with most of the day spent slow drifting. We ended up with plenty of fish to share with friends and family and enjoyed the day with Capt. Glenn. Many thanks to him for finding and keeping us on the fish. Now I've got to make room on my 'Honey Do List' for another open Saturday in November. 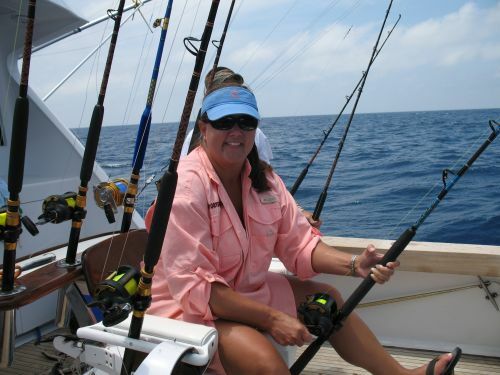 This time however, I'll try our saltwater side of the Low Country---trout and reds. Yup...I'll be enjoying some snacks myself this weekend watching some of the outstanding football games. How are the crappie doing at this point with March coming to an end? 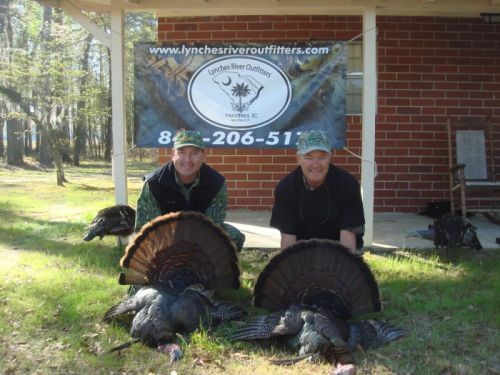 As a sportsman, I try to enjoy all of 'The Outdoors' that SC has to offer.